On several nights every week our beloved dog Bunny who sleeps outside comes down the side of house and barks at God knows what. This happens around 3am she is most likely saving us from cats. I have been blocking her access to the side of the house with an assortment of chairs and gas bottles. This is how a small welding project came into being. 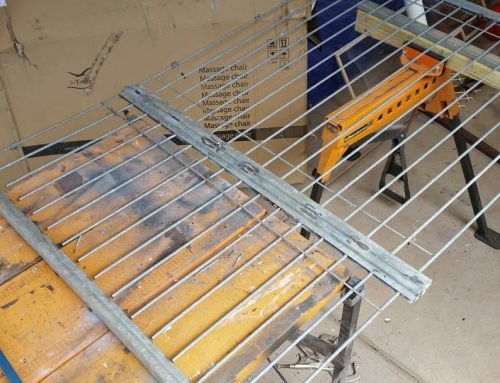 I decided to make a gate from bits of scrap steel and mesh lying about from old projects. All I have had to buy is a pair of hinges a D bolt to close it and some paint. Only took a couple of hours to put it together. I used my favourite ALDI inverter welder. It’s great for welding light and portable. So hopefully the dog will be out of ear reach at 3am.